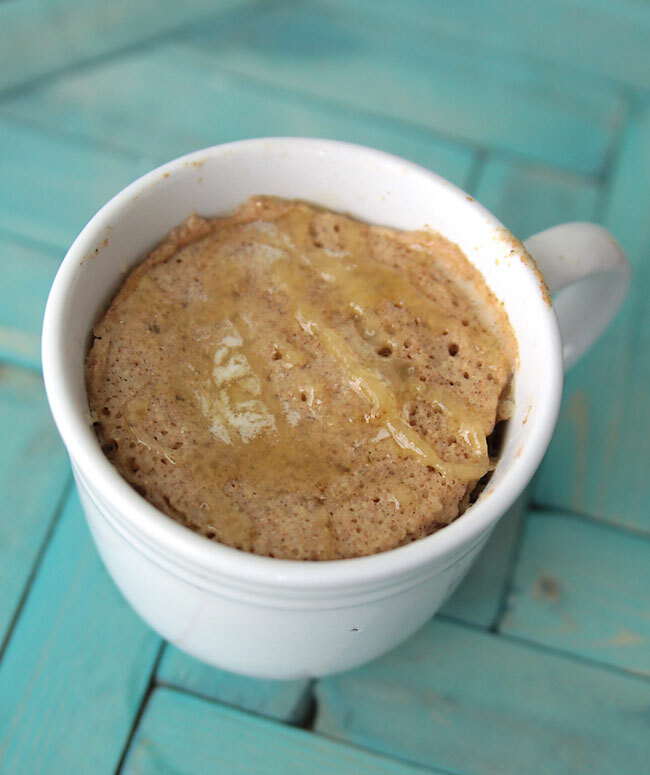 healthy whole wheat single serving minute muffin – in the microwave! 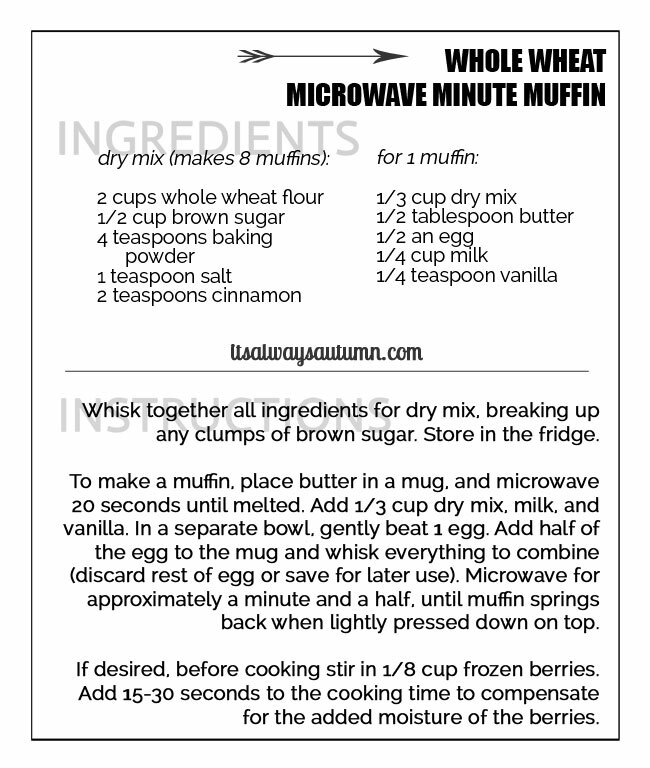 On a recent trip to the grocery store I saw a “minute muffin” – a single serving muffin mix in a cup. 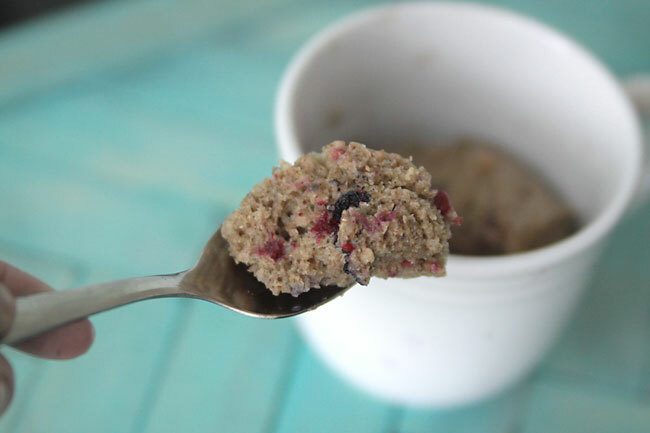 All you have to do is add water and microwave for a minute and you have a surprisingly soft, tasty breakfast. The only problem was the price – way more for one muffin than I want to pay – however convenient. So over the past few weeks I’ve been working out my own minute muffin recipe, with the help of my kids as taste testers. We’ve been trying to switch to whole wheat as much as possible, so I made this a whole wheat muffin, and my kids love it, even though they aren’t huge fans of whole wheat bread. The muffin comes out of the microwave very soft and tender, sweetened with a little brown sugar and spiced with cinnamon. I mix up the dry ingredients and keep them in a container in the fridge. All my older kids are able to measure and mix in the wet ingredients on their own, making this a favorite snack for any time of day. The muffin is quite tasty by itself, but super delicious with a bit of butter and honey on top. The muffin is fairly large, making it a pretty good breakfast all on it’s own. Each muffin is about 260 calories, which is a bit more than they’d get from a bowl of cereal, but there are no preservatives or chemicals and each muffin has almost 10 grams of protein, making them quite filling. If you’re concerned about calories, you could try using splenda instead of brown sugar to save about 50 per muffin. Start by putting 1/2 tablespoon of butter in a mug (just use the markings on the butter wrapper to cut 1 tablespoon, then cut that in half). Microwave 15 seconds to melt. Measure in 1/3 cup dry mix and 1/4 cup milk (we use nonfat). Add 1/4 teaspoon vanilla and half of a beaten egg. Whisk to combine, then microwave about 90 seconds. Now, to minimize the amount of dishes this creates, I just use a 1/3 C measuring cup for everything – I use it to measure the dry mix, then fill it not quite full to measure the milk, then crack an egg in it and use a fork to lightly beat, then tip half the egg into the mug and use the same fork to mix everything together. I also rarely actually measure the vanilla – just tip a few drops in. 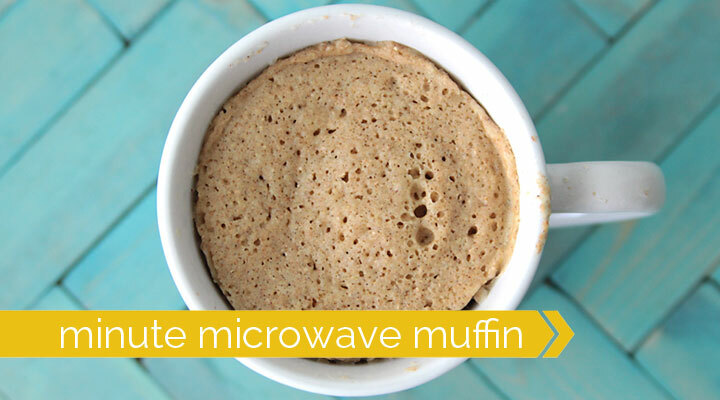 This means you can make the muffin using one mug, one measuring cup, and one fork – not bad! In our microwave the muffin takes exactly 90 seconds. The consistency is quite airy – a little more so than a traditional muffin – so it’s almost a cross between a muffin and a bread. You may have to experiment with the time to see what works best in your microwave – if the muffin seems dry, try cutting 10 seconds off the time, and if any part is wet, add a few. If you’d like a berry muffin, just mix a few frozen berries in before microwaving – and add 20-30 seconds to the cook time. 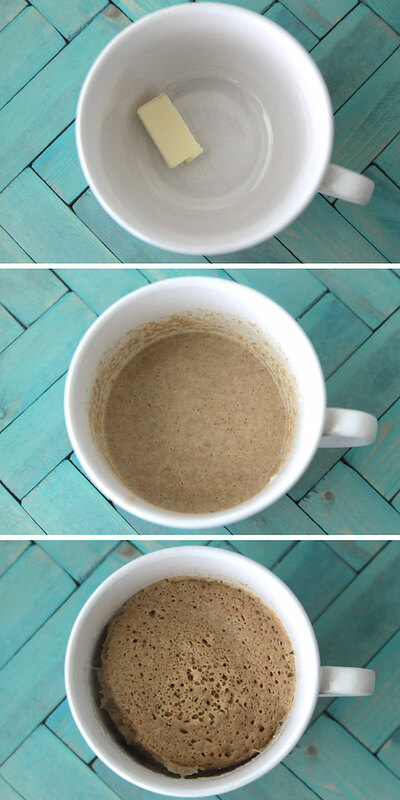 A few last notes: 1) you’ll want to use a mug that holds at least 1 and 3/4 cups of water, and 2) once you’ve eaten the muffin, wash the mug or fill it with water immediately – if you let it dry if can be hard to clean. 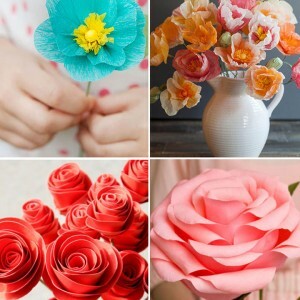 We’ve been making at least a couple of these a day at our house – I hope you guys like them as much as we do! I sent “cake in a mug mixes” to our niece and nephew on year for Xmas … this sounds like it would be a great breakfast staple! This looks yummy. Just one question (I’m in the UK) what is dry mix? Hey Justine! 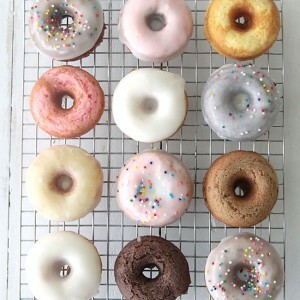 The recipe for the dry mix is on the recipe card – it’s just the mixture of the flour, sugar, etc., that you can make up before hand to make it easy to make one muffin at a time. Thanks! I am so glad I found this, I am going to have one happy boy that has been raving about these for a week now. Thanks for sharing!!! 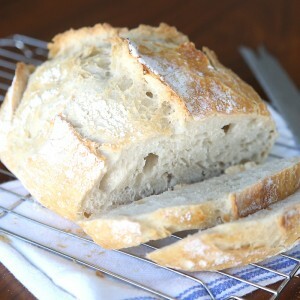 Do you think I can make this with white flour vs whole wheat? 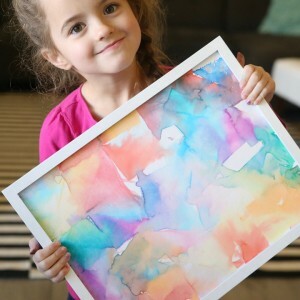 I have white flour at home now and would love to try this with the kids. Sure! I’ve never tried it with white, but I don’t know why it wouldn’t work – if anything I’d think you’d end up with an even fluffier texture. Let me know how it goes! Here’s a thought about the egg. This could be a good way for kids to practice separating the white from the yolk (because in this recipe, unlike others, a bit of yolk “corruption” will not affect the outcome of the recipe). I routinely count one egg white as 1/2 an egg so that would probably work out great for the recipe. The yolks can be saved & used in homemade ice cream or Hollandaise sauce or if you need to limit your egg yolk consumption just add it to the dog’s/cat’s dish. On the flip side; I also consider the yolk as 1/2 an egg. So, if you are whipping up whites for a recipe the leftover yolk(s) can go into the muffin(s). I like the idea of making the dry mix up ahead of time. I will be giving these a try today. Sounds delish! Still a little confused about the dry mix though.. So at the store I just need to buy a mix that is for “single serve cakes” and Mix in all. All the ingredients it asks for? Like milk and oil (generally?) what kind of mix do you usually use?